The day of Venus, Friday takes its name from Frigga, the Goddess of Love and Transformation. She rules the spiritual aspects of people as they manifest on the physical. Because of this, Friday is sometimes thought of as unpredictable. Magical aspects: love, friendship, reconciliation, and beauty. Friday has often been associated with relaxation as it is at the end of the week, but the good feeling that comes with it. Friday also has a lot to do with the fact that it is ruled by the planet Venus – The Goddess of Love. Lusterless relationships and disputes may be settled on Fridays with the aid of a spell to Venus and perhaps a small personal sacrifice. Friday is also associated with Caribbean wealth spells and has been known to improve friendships, Platonic love and increase your desirability. Be careful what you wish for on Friday, Venus’ eyes could be smiling! 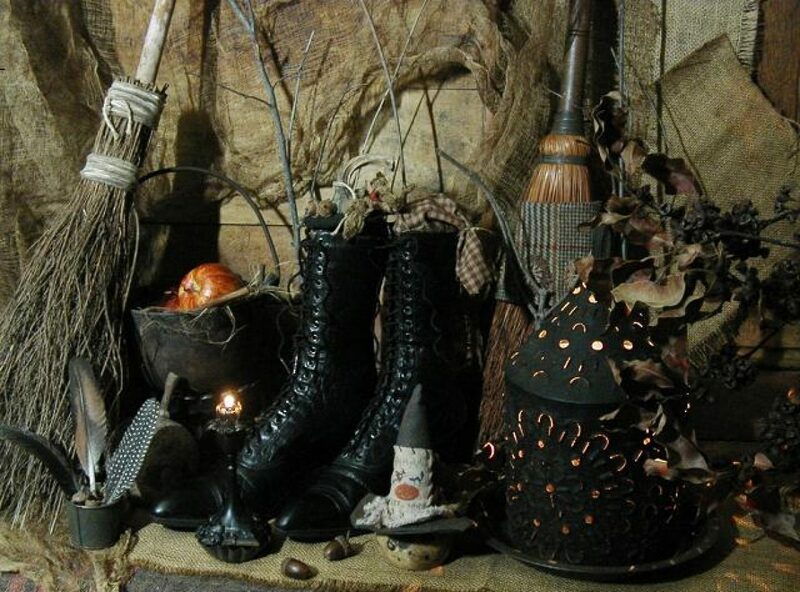 This is the proper day of the week to perform spells and rituals involving love, romance, marriage, sexual matters, physical beauty, partnerships, friendships, social activities, strangers, pleasure, music, incense, perfumes, nature, and arts and crafts. Posted on January 15, 2016 by ladyoftheabyssPosted in Articles, Daily PostsTagged Alexandrite, Amethyst, black moonstone, Cherry, Clematis, Clove, Coral, Coriander, Dawn, Diamond, East, Emerald, Female, Heather, Hemlock, Hibiscus, IVY, Jade, Jet, LIBRA, Lotus, Love, Moss, Myrtle, Oats, Peppermint, pepperwort, pinecone, Romance, South, Taurus, Venus, water, West, WItches Correspondences. Posted on January 8, 2016 by ladyoftheabyssPosted in Articles, Daily PostsTagged Alexandrite, Amethyst, black moonstone, Cherry, Clematis, Clove, Coral, Coriander, Dawn, Diamond, East, Emerald, Female, Heather, Hemlock, Hibiscus, IVY, Jade, Jet, LIBRA, Lotus, Love, Moss, Myrtle, Oats, Peppermint, pepperwort, pinecone, Romance, South, Taurus, Venus, water, West, WItches Correspondences. Posted on December 18, 2015 by ladyoftheabyssPosted in Articles, Daily PostsTagged Alexandrite, Amethyst, black moonstone, Cherry, Clematis, Clove, Coral, Coriander, Dawn, Diamond, East, Emerald, Female, Heather, Hemlock, Hibiscus, IVY, Jade, Jet, LIBRA, Lotus, Love, Moss, Myrtle, Oats, Peppermint, pepperwort, pinecone, Romance, South, Taurus, Venus, water, West, WItches Correspondences. What you need in this aspect is a bit of understanding. You can find happiness in abundance if you understand and accept the differences of those with whom you share your life within this aspect. 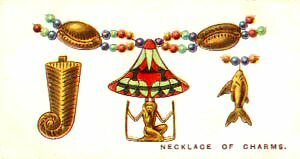 This is an Egyptian group of amulets. The centre ornament is the Lotus, from which hangs the emblem of Millions of years — Thou shalt never perish, never, never come to an end. The Lotus bestowed upon the wearer Light and Understanding, the gifts of the god Ra, their sun god, king of gods and of men. The Fish, the symbol of the Egyptian goddess who controlled the rising of the Nile brought Abundance and Riches. The other pendant is in the form of a lock of hair, the meaning of which is obscure. 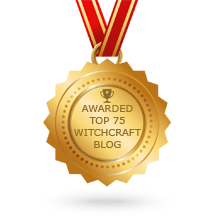 Posted on June 29, 2015 by ladyoftheabyssPosted in Articles, Daily PostsTagged abundance, Abundance and Riches, amulets, Egyptian, Happiness, King, Light and Understanding, Lotus, Necklace of Charms, Ra, Sun God, The Fish.